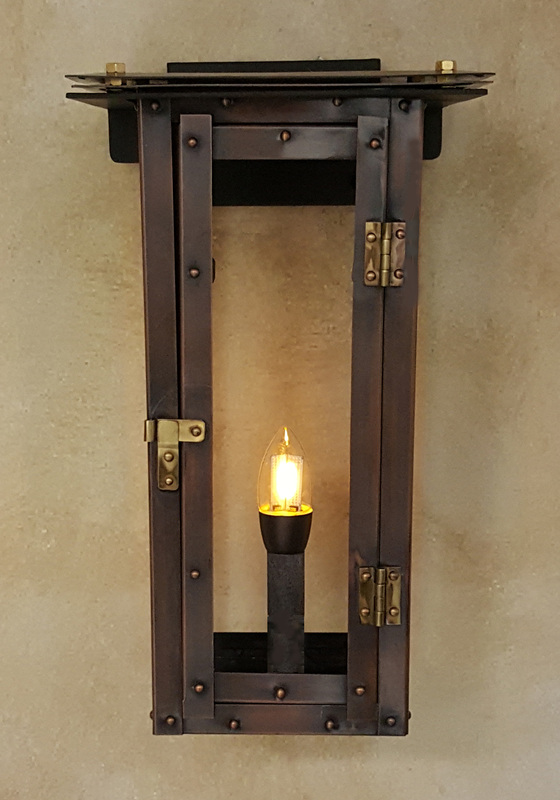 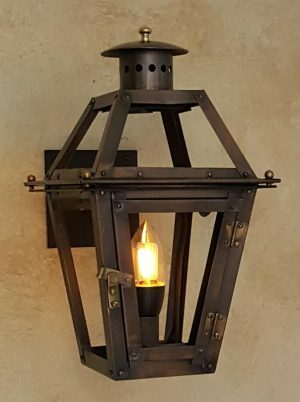 Please call for custom sized lanterns or custom bracket options. 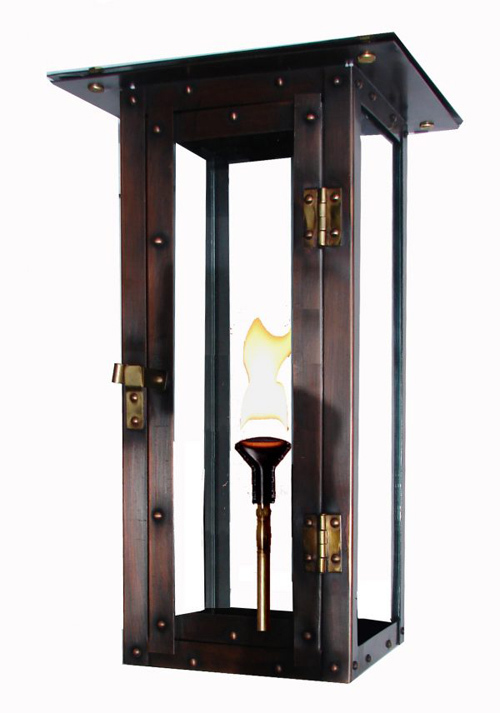 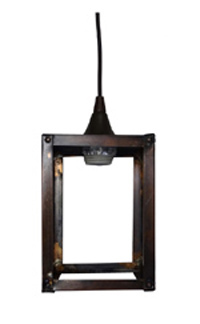 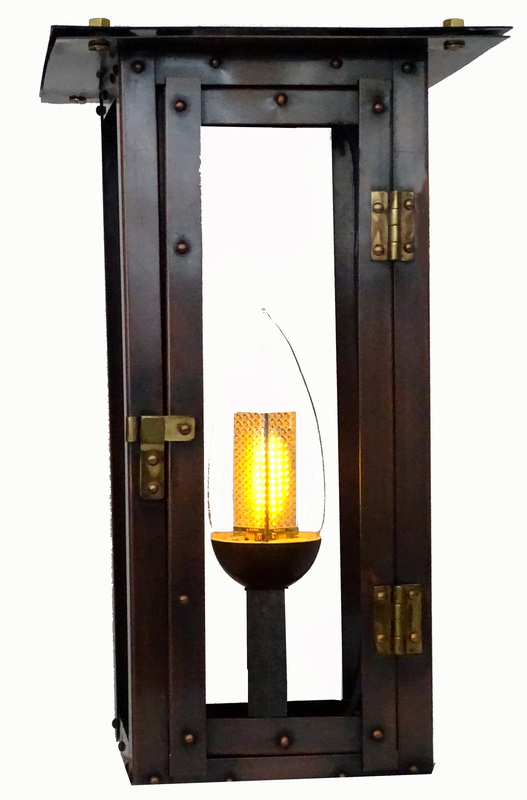 The Moderne Avant-Garde lantern is a combination of old world craftsmanship and Modern Style. 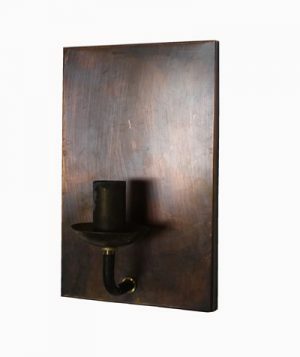 Available finishes are expertly hand oxidized copper (shown), polished brass, chrome-plated brass and a rainbow of powder-coated finishes. 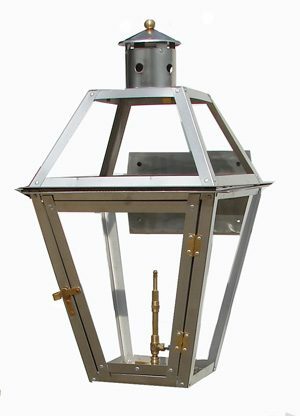 Standard wall bracket and gas burner assembly are included. 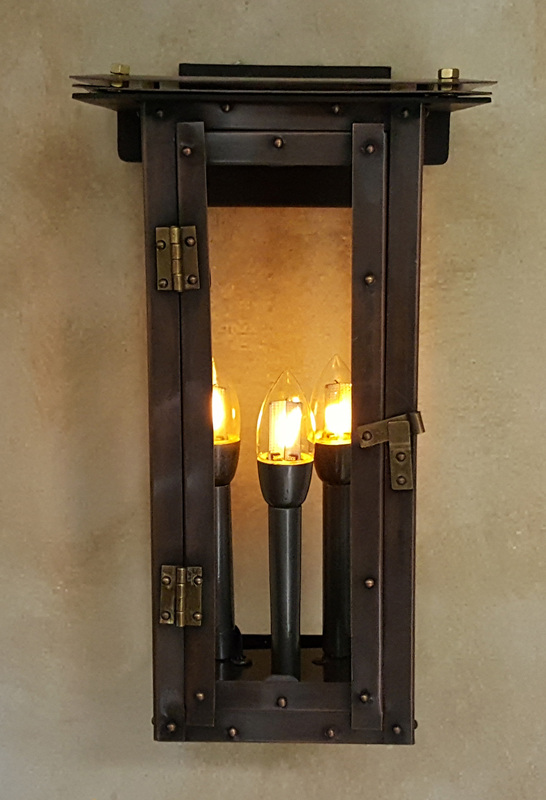 17" x 8", 20" x 10", 24" x 11"